This type of natural weaving involves gathering your own natural materials including a natural loom. A ‘Y’ shape stick works really well for this. I love ‘Y’ shape sticks! 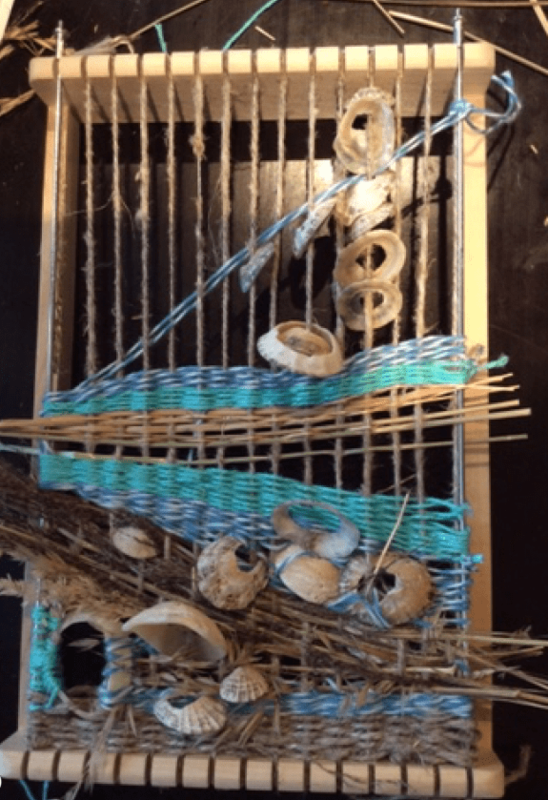 Natural weaving – how to. 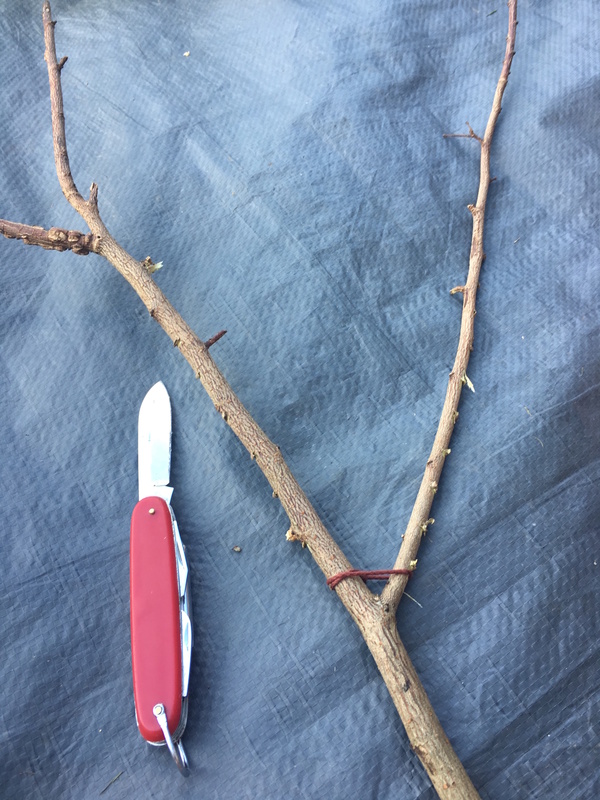 Create cuts at equal intervals along the ‘Y’ shape stick, up each branch. These are to slot the string into that will become the ‘warp’ threads. These will run horizontally and the vertical weaves will be made with the natural items. Wedge the ‘warp’ string back and forth across the ‘Y’ stick and lodging into the notches you made until it is filled up. You can see in this picture the spacing of the warp threads is wide. This is good for youngsters, as a first weaving experience. Then its easy. Gather grass or flower stems and weave over and then under the threads. 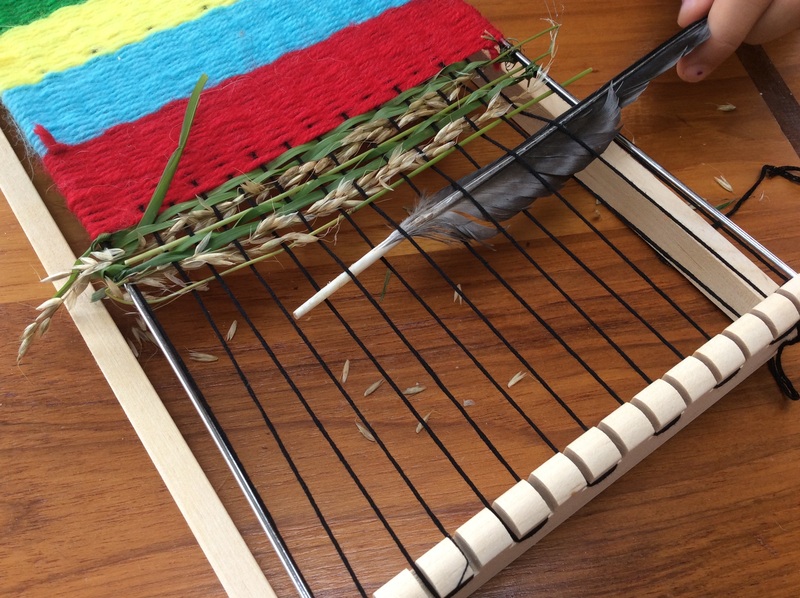 Attention spans vary but these are short simple weaving activities that encourage fine motor skills. It may take practice to encourage the threading in and out. It may appear a simple exercise but has many benefits. 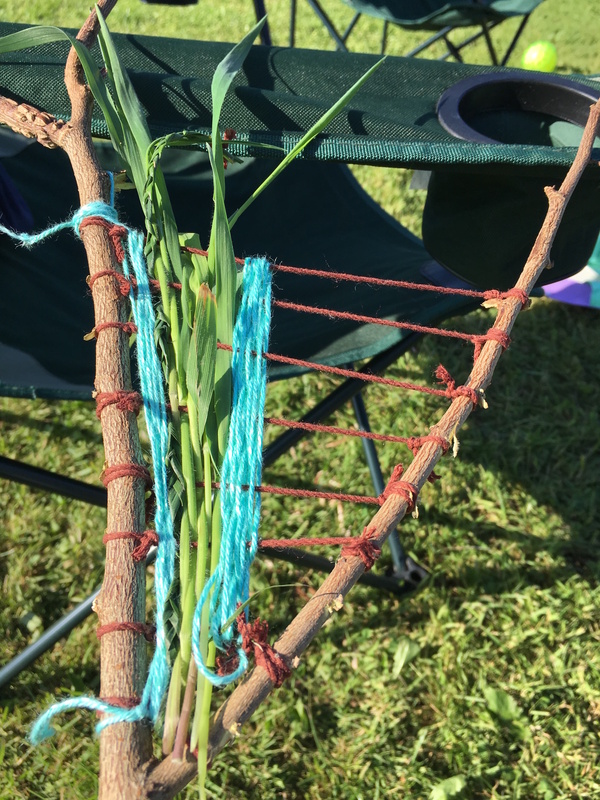 Weaving is a staple craft in the Waldorf Steiner curriculum. You can, of course, use natural grasses to weave into a straight loom at home. I have also threaded shells on the warp strings as extra texture. I like the combination of the wool with the dried grasses in this example, and has the added bonus that will last. 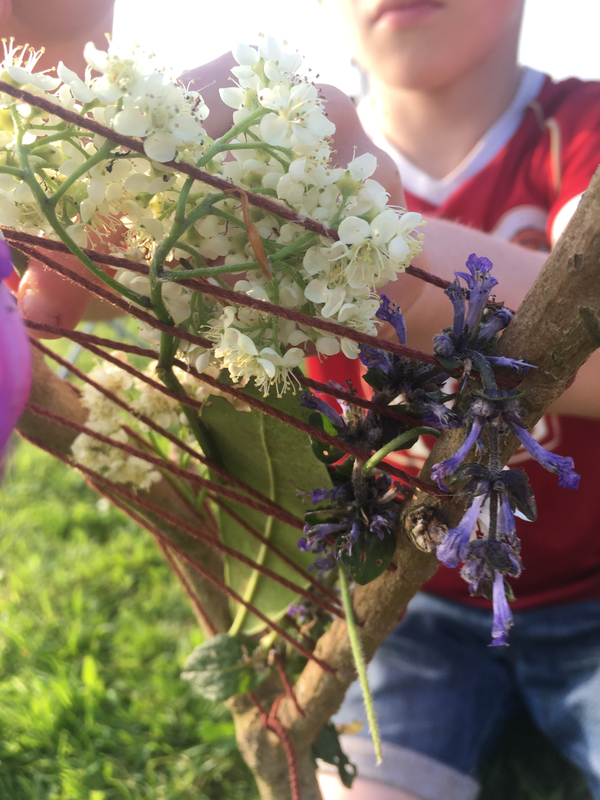 This post is a resource post for June of the The 365 Nature Journal – a calendar of nature activities and observations for anytime of the year.